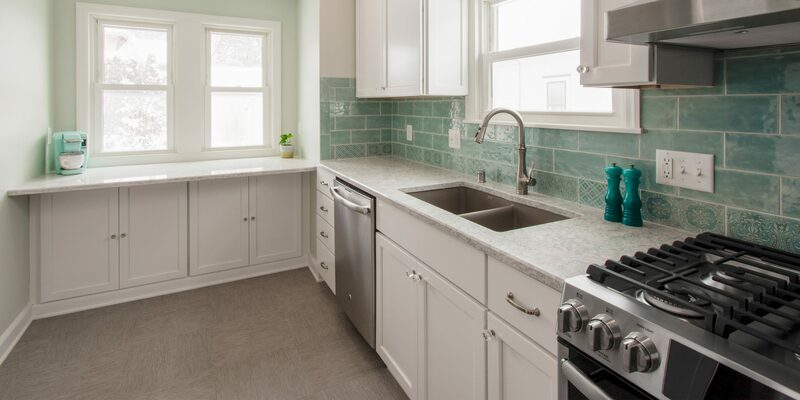 When a Wauwatosa homeowner approached us about remodeling the kitchen and powder room of her 1936 cape cod, we knew it was the right fit. 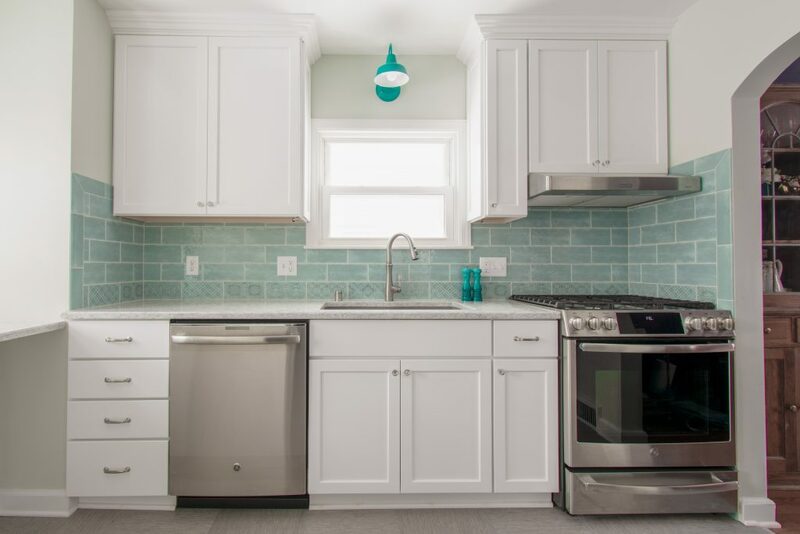 The project goals were simple – maintain the historic look of the home, increase storage and counter space, and include a pop of color. 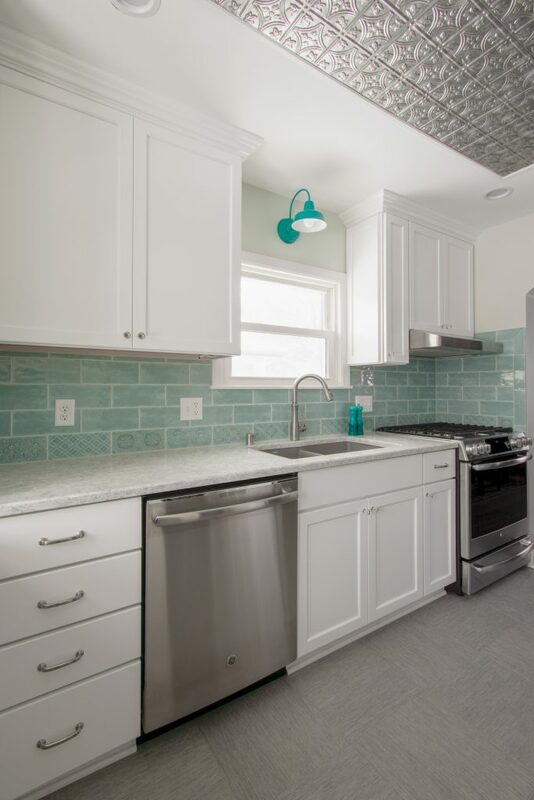 The footprint of the kitchen was small, but through creative design, we found ways to increase storage and counter space. We added a pantry cabinet by the refrigerator, added cabinets under the window area, and removed the soffit for taller upper cabinets. More counter space was added in the window area overlooking the backyard. 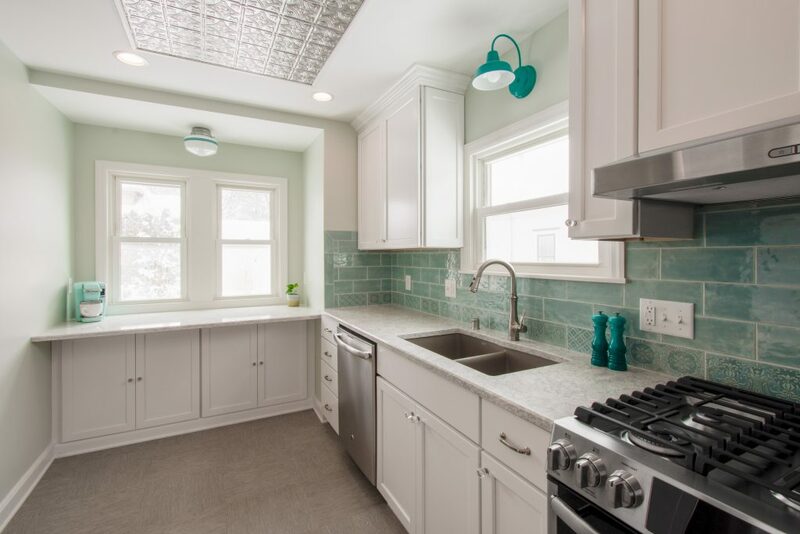 The highlight of this kitchen is the original tin ceiling. We carefully removed the ceiling and reinstalled it. 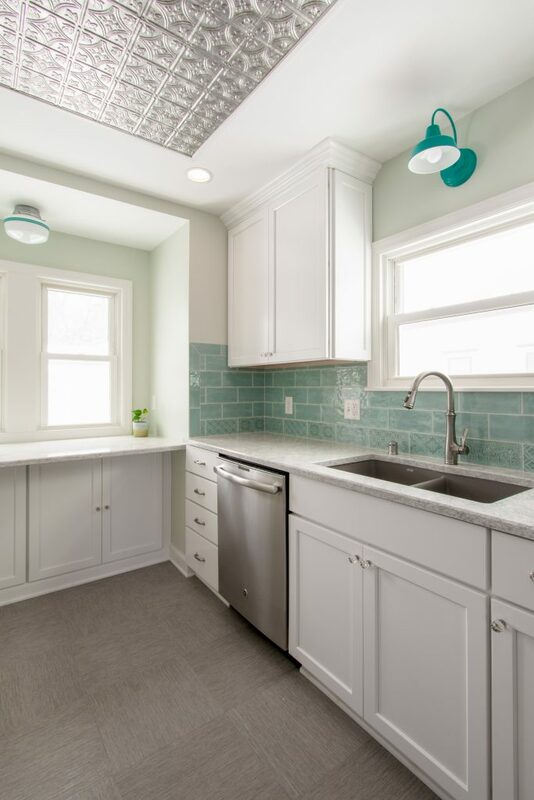 The homeowner loves color and we achieved this with teal light fixtures, an aqua subway tile backsplash, and a subtle teal undertone in the quartz counters. We maintained the charm of this home with an arched doorway into the dining room, crown molding and trim to match. 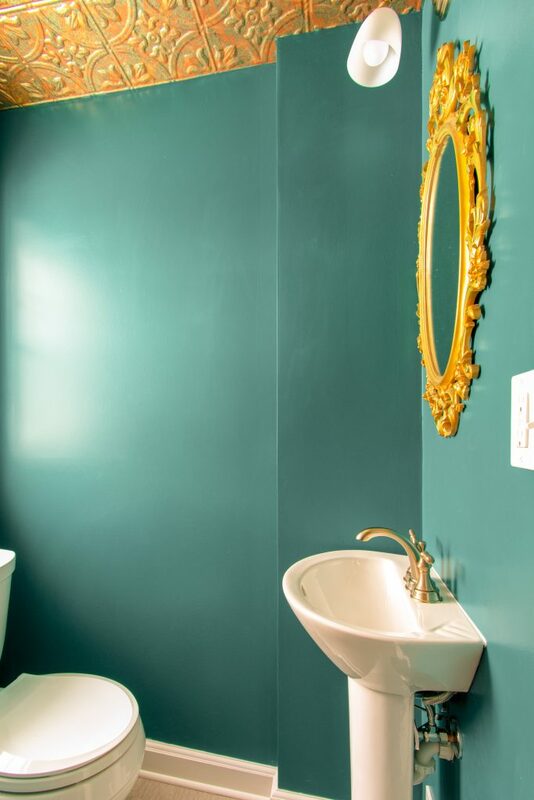 In addition to the kitchen, we updated the powder bath off the kitchen. 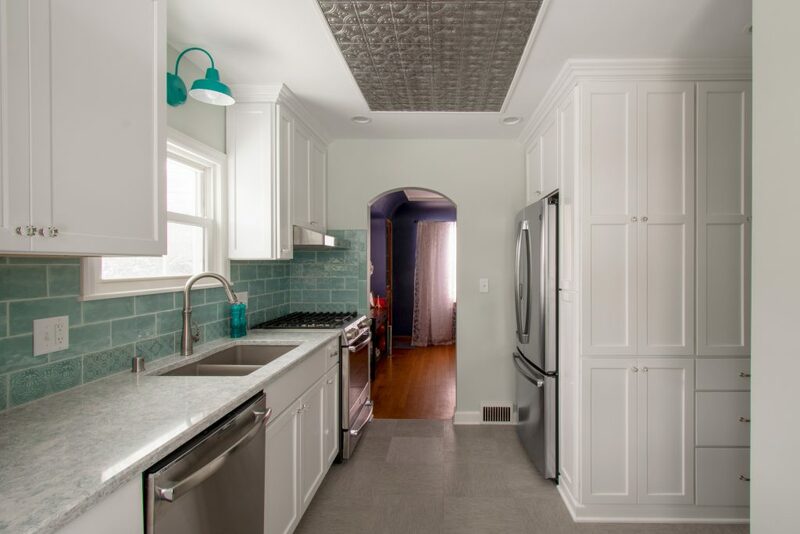 We kept the original tin ceiling while updating flooring, paint, sink and lighting.